Does the antipathy among booksellers for the book- hoovering activities of charity shops, particularly Oxfam, still exist? I ask because when I was a subscriber to the now defunct Book and Magazine Collector I recall an exchange of letters on charity shops that lasted for about three months. The tone of the letters from dealers was noticeably hostile. The strongest complaints always concerned the fiscal advantages enjoyed by charity jobs over those dealers in towns where these shops were in unfair competition with them. Dealers complained that people donated rare books to charity shops instead of selling them to dealers, thereby benefitting both dealer and vendor. Naturally, what was not mentioned was the fact that because most people prefer selling to giving away books, a dealer still had a good chance of making a living, either from buying directly from vendors or by bidding at auction. Nor was it mentioned that the percentage of good books to rubbish received at the online reception depots (called hubs ) was much lower than those encountered by dealers buying at auction. Which meant, of course, that much time and human resources are wasted by Oxfam in sorting and then chucking out the dross which dealers would spend in sorting and pricing genuinely saleable books. I can speak from experience, having worked for a while as a cataloguer at one of these Oxfam hubs, where I found a few valuable items, including some modern firsts, association copies and early printed music by Mozart and Beethoven, but percentage-wise nothing like the number of treasures that are popularly imagined to turn up at these depots. 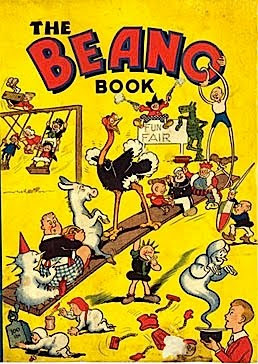 For every Beano Annual number one ( £4,500 from a shop in St Andrews ) there are 15,000 trashy paperbacks, Worlds Classics and school textbooks. In their resentment dealers perhaps forget that charities exist to do good—to improve water facilities in Ethiopia or treat glaucoma in India. 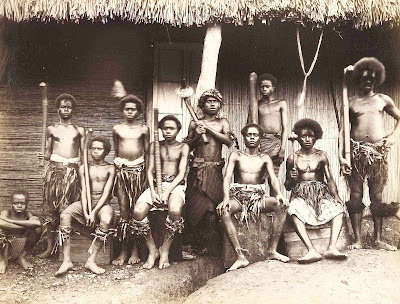 When a copy of Gerard Ansdell’s legendary photo-journal, A Trip to the to the Highlands of Viti Levu ( 1882 - photo above), which in late 2009 had been handed into the Teignmouth branch of Oxfam , made a record-breaking £37,000 at auction, a spokesman proclaimed that the money would buy 1,500 goats, feed 5,300 families or bring safe water to 41,000 people. It should also be said that the only charity workers who make a living are shop managers and the administrators at HQ. Many volunteers, who are often retired or unemployed , work the same number of hours in these shops and depots that most dealers devote in their own businesses. Moreover, a few are perhaps as clued up as many dealers, but unlike the latter have no chance to make money from their unpaid roles as cataloguers. This, of course, is not entirely accurate. It is disingenuous to assume that well-informed book sorters in charity shops are not given the occasional chance to benefit from their close contact with the more valuable books donated , especially in the less professionally run charity shops. If a volunteer finds a first of G. S. Marlowe’s I am Your Brother in a dust jacket and asks the shop manager, who hasn’t heard of Marlowe, if he can buy it for £10, the offer is likely to be accepted. The store manager is more likely to have heard of Seamus Heaney, which is why a copy of his incredibly scarce debut volume, Eleven Poems (1965) together with another first by Michael Longley, was selected out by a sorter and made it to the auction house, where the pair fetched £3,500. I must also say that in the case of Oxfam, these sorters deserve the occasional bargain—without them the pricing would be left to ill-informed amateurs, and the charities concerned would suffer. At my hub I was the only specialist book cataloguer among a team whose own specialist knowledge lay mainly in the field of vintage clothing. My boss, the hub manager, knew nothing of books, rare or otherwise, and was overjoyed, if somewhat sceptical, when I announced that I had found a rarity, which was not often. When I uploaded details of the sheet music I seem to recall putting a price of around £600 on this item, having to my surprise and chagrin already been informed that the treasure was not being considered for auction. So there might be a little truth in the often heard charge that because of its market dominance Oxfam has become ever so slightly blasé about maximising its income generation. Many thanks Robin. Aye, there's the hub. As the b'stard Urquhart used to say "You might very well think that; I couldn't possibly comment." I guess if an Oxfam bookshop sets up in your provincial high street right by your second book emporium your days are numbered-in Woodbridge near me 2 bookshops were blown away by charity shops. There is a lot of bad feeling out there, a recent bookshop that closed down sent its books to the landfill 'as a matter of principle' rather than to charity shops-- it's that bitter. 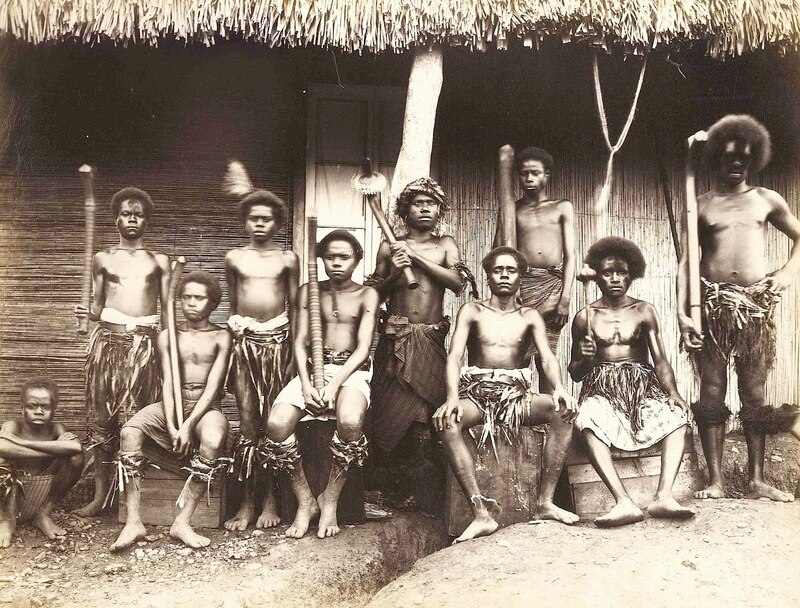 However when just one rare photo book can buy 1500 goats and decrease the suffering of forgotten peoples the arguments start to falter..
For me the books in them are not especially cheap and generally uninspiring, I usually stick to DVDs and talking books. They have become receptacles for the books that low key bookshops used to sell- if a book is any good they have usually looked it up on ABE and put the right price on it which is, of course, the wrong price. Great post. I buy regularly from charity shops to sell online in a small way. There are bargains to be had occasionally in Oxfam shops, esecially in art, esoterica, and the obscure (I took a recent punt on A Guide to the Manufacture of Mirrors and Reflecting Surfaces, priced at £2, and sold for £50) but mostly I'm buying for £3-5 and selling for £10-15. But you're right, anything that is obviously collectable, they price in line with the Internet asking price (ie invariably too high). I've often wondered what they then do with these items when they can't sell them. Do they sell them to some local dealer for pennies, or ship them around other branches? My £30 book purchase (plus £3.50 postage) from the Oxfam website was sent in a thin plastic bag. Easily the worst packing I have come across. I complained online and their automated email said I would receive a reply in 48 hours. Still waiting three weeks later. I'm not sure I'd trust them with a goat. I'm not a book dealer, but a collector, not of any specific subject, but principally of *things charity shops throw away*(!). Having once worked for two provincial charity shops, I know that you can't just make offers to the manager if one sees an interesting book one wants for oneself. Often, such enquiries put the manager 'on the alert', and are met with resistance, before the book vanishes. However, the main thrust of my comment is this: I know that charity shops up and down the UK throw away rare books if they are slightly damaged. I regularly peek inside their trade waste bins. Sure enough, amongst the banana skins and bleach sodden waste (to deter rummagers), one finds such rarities as William North's 'The City of the Jugglers', or a valuable volume 'Tombs of Old Lo-Yang' (but tea stained due to their desecration). I've found hundreds of inexplicably binned wonderful books through twilight rummaging across Warwickshire and other counties. Attempts to alert staff to their mistakes result in denial and suspicion. Someone should tell them "if a book isn't your cup of tea, don't throw your tea over it". But the main reasons seems to be that some shops just don't have enough space, so choose to let special books perish forever. The demise of the secondhand book shop is threefold. The internet has had a big effect and we all sell on it and can only sell a book once. The greedy landlords/coucils are another problem, not reducing rents, with the current state of the high st. Finally what the charities have done if remove our bread and butter sales that paid the overheads. The paperbacks and all those other books under a fiver. If you are only left with the specialist sales and better books then why not sell from home? I once took a box of what I thought were very reasonable and collectible books, admittedly ones I hadn't been able to sell for a while and wanted to clear some space with, to a local charity shop. When I presented them, without even looking at them, the manager asked, "are they brown? can't sell them if the pages are brown!" I should declare an interest too and say that my partner is a charity shop manager and so it's not that I don't support them. Pre-web, a friend of mine herw in Glasgow used to be glad to value books when asked to by charities. Now - as Nigel says - the manager looks up AbeBooks, goggles at the most optimistic prices, prices accordingly, and has a book that stay on the shelf. One of the men associated with the big Oxfam bookshop in Byres Rd when it opened boasted that the shop was going to kill off the secondhand bookshops in Glasgow and so succeeded in alienating the very people who could help Oxfam. Re buying bargain in charity shops I work on the old formula (if I eventually sell) of giving back to the charity half of the profit. Aside from the high wages paid to their staff and the damage to local trade,they disregard to charity begins at home.etc. I detest how they throw tatty books away,what have they to lose by putting a box out for sale at ten pence each,perhaps it underminds their overpriced stuff,but if like me you been looking for book for years ( no results online )and actually prefer tatty editions,writing inside etc then Oxfam are useless. I recently sold a rare G.F.Newman tatty pb on ebay for £35.00 - it had dog footprints all over first page,i bought it off the floor at boot sale for 10p. Amongst bookdealers Oxfam is still hated - its just that they are less dealers. One day Oxfam will figure out they could hire out their voluteers like a prison gang chain - then the big retailers will really start to tremble.